Caravan was one of the most significant bands on the Canterbury music scene. Known for sharp wit, strong melodies and strong improvisations, the band was founded in Canterbury, England, in 1968. Caravan evolved from the Wilde Flowers, a local band that included Robert Wyatt, Kevin Ayers and Hugh Hopper (of Soft Machine fame). Pye Hastings (guitar/vocals), keyboardist David Sinclair, his brother Richard (bass/vocals), drummer Richard Coughlan combined to create the original line-up that fused graceful melodies with improvisation- staples of the Canterbury musical scene. 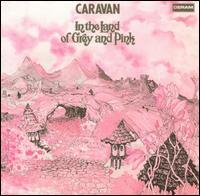 Their debut album, `Caravan,' in 1968. The songs "Place Of My Own" and "Love Song With Flute' illustrate the direction and tone the band's early work. `If I Could Do It All Over Again, I'd Do It All Over You,' recorded in 1970 continued the style of their debut album with the addition of the avant garde. `1971's `In The Land Of Grey And Pink,' brought them sizable attention and many say, their finest album, blending jazz and folk instrumentation and improvisation with a English sense of humor and charm, showcased by the song "Golf Girl," and the 22 minute plus epic "Nine Feet Underground" ( The album sold 100, 000 copies by 1980 giving Caravan their only gold album). The recording would mark the end of the band's premiere lineup as David Sinclair left the group to join Robert Wyatt (Soft Machine), forming Matching Mole. Replacement Steve Miller (Delivery), brought and an edgier jazz influence into the next album- `Waterloo Lily,' (1972). For 1973's `For Girls Who Grow Plump in the Night' (a much improved offering than `Waterloo Lily'), the band's sound changed again, mainly because of the return of keyboardist Dave Sinclair and the addition of violist Peter Geoffrey Richardson. Derek Austin came in to help Dave with keys. As Miller left the group. The album with the help of orchestration on several tracks received solid reviews and went silver in the UK (77,000 copies sold). On October 28, 1973 at the Theatre Royal, Caravan performed a live show with a 39-piece orchestra and released a live album ` Caravan & the New Symphonia,' in 1974. The highlight was the song- "For Richard." The album went silver, selling over 60,000 copies. Richard Sinclair left to form Hatfield And The North, and further personnel changes undermined the group's early charm. `Cunning Stunts,' showed that the band did having a loyal following in America, entering the US charts. The 1980's showed the band losing their creative edge, though Hastings reformed their original line-up (with both Sinclairs), and 1983's `Back To Front,' was released, showing unevenness, but a spark of their 70's days. Again, a one gig Caravan reunion their `In the Land of Grey and Pink,' line-up to play on British TV (Bedrock), (later released on DVD in 2001). The show is a solid one and features great keyboard work by Dave Sinclair and the sax/flute of Jimmy Hastings. Richard Sinclair decided to form a band to play his own material, he launched Caravan Of Dreams in the Spring of 1991. Sinclair (bass/vocals/keys. ), Biddulph (guitars) and Ward (drums), formed the core of Caravan Of Dreams and featured David Sinclair on keyboards and Jimmy Hastings on saxophones and flute at times during it's 2 year lifetime. In April 1992, Richard Sinclair released the album `Caravan Of Dreams,' and subsequently on March 1993 a double live CD, `An Evening Of Magic,' was recorded in Italy. Pye Hastings, Caravan talented guitarist- who prefers "playing together than performing as a soloist," runs 'Molequip', a company which hires out giant mechanical moles for tunnelling purposes. He has a recording studio in his basement in Canterbury. Julian, his son, is a recording engineer/ producer and is heavily involved in all Caravan recordings. Since 1995, Richard Sinclair has taken a break from music, touring on occasion- mostly in Holland, a 2001 album has been rumored but has not been confirmed. Upon reflecting about the Canterbury music scene. Sinclair states- "The music happens outside, gets written here and taken out. This is the Canterbury scene for me. It doesn't really exist , but it forms here." Caravan is working on a new album. The majority of the writing is being done by Pyle, with 3 or 4 tracks written by Dave Sinclair. They are also currently touring in the UK, and at the beginning of 2002, will be in Japan. 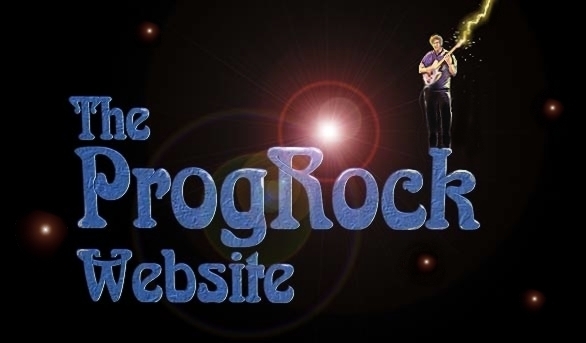 On June 30th 2002, Caravan played a killer set at 'Nearfest' a progressive music festival held at Trenton War Memorial Theatre, Trenton New Jersey. The show was filmed for released DVD- entitled...A Night's Tale. Show is not the best quality in terms of filming. Lighting could be better. Nov. 2002- David Sinclair quits Caravan because of musical differences. All his songs but one (Nowhere to Hide), has been removed from the upcoming Caravan album... the band is moving onward with Jan Schelhaas (Camel/Caravan), on keys. The new album- entitled 'The Unauthorised Breakfast Item,' is finished and will be released on September 29, to the general public (Intense Records INT 1091). Jimmy Hastings will be guest musician on the album of mostly Pye Hastings compositions (all but three are penned by Pye). In July a special limited edition of 2500 copies of the album will be released. THe band will sign the albums and the new CD will include an extra disc of live tracks and an orchestrated version of For Richard. It is only available directly from Caravan merchandise. In 2010, Pye Hastings announced that the band had resumed activity in anticipation of a one-off concert recording at Metropolis Studios for ITV, which took place in December 2010. New material was written for a debut performance and the band was joined by Mark Walker on drums and percussion, as Richard Coughlan, whilst still a member of the band, was too ill to tour with the group. The DVD of this gig was released in May 2011 and the recording was shown on ITV as part of the Legends series. In January 2013 the band completed a successful UK tour to celebrate the 40th Anniversary of the album “For Girls Who Grow Plump In The Night". This was followed later in the year by the announcement of a new album, Paradise Filter. The album was funded by a PledgeMusic campaign, scheduled for release on 24 February 2014. Hastings declared "now you can be part of the whole process by pledging to support this project". `The Paradise Filter,' was release. Received vaerage ratings at best, it seemed to lose the classic Caravan sound for poppy safe material that has plenty of unforgetable moments, though Hasting's guitar was more pronounced. On 1 December 2013, founding member Coughlan died, having been in poor health for some years. His funeral took place in Canterbury on 20 December. A statement from the band stated "his unique style of playing and wonderful character will be sorely missed." Caravan are headlined at the Rosfest festival in Pennsylvania on May 2014. The band are release their brand new album in 2014 called ‘Paradise Filter’ only made possible by independent funding from fans and supporters via a highly successful PledgeMusic campaign. They continue to tour the world and are still a very exciting live act. In 2018 They are looking forward to celebrating their 50th Anniversary with a series of concerts.